Perhaps you’ve seen the poster hanging up in our branches, or picked up a handout around town, or scrolled past the Facebook event, and you are wondering about this FREE Christmas Dinner. Certainly, there is a lot to be curious about. It is indeed true and coming up on Dec. 23 at the Rainier Methodist Church. 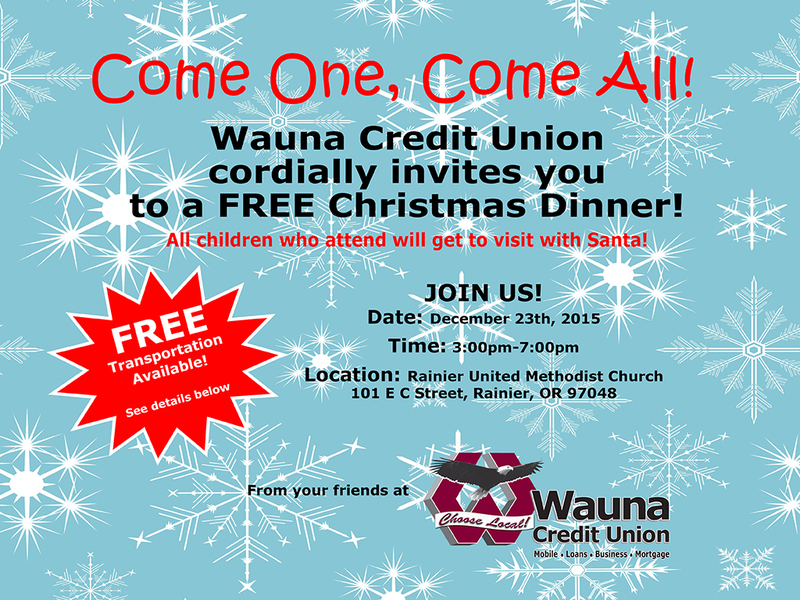 Wauna CU employee, Tabitha White talks about what inspired this free dinner for the community this Christmas. To get the answers, we went to the source – Wauna Credit Union’s own Tabitha White, who is the mastermind behind this amazing gesture of giving. Here is what she had to say about her idea, and how it fits with the Credit Union mantra of “People Helping People”. “This dinner is for our community. 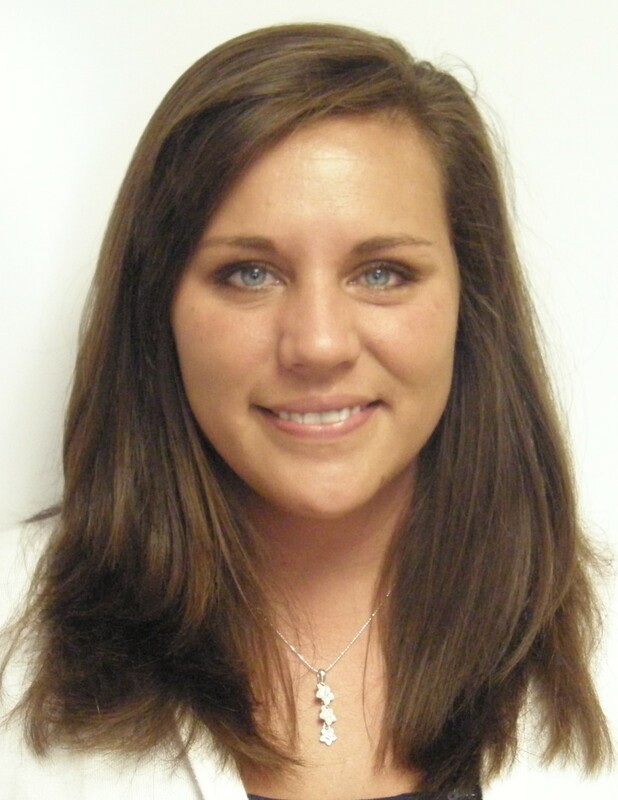 To show that Wauna Credit Union cares for our community, we support our community, and show them we are not just another financial institution – we give back.” She explains. “It’s been a long time dream of mine to host a huge dinner for those who need it the most. This is a huge way to show people we truly are a company of “People Helping People”. Members in Clatskanie will likely recognize Tabitha from her time as a top notch Member Service Representative (commonly known as a teller), but for the last several years she has worked her way up, first in our Operations Department, and now as part of the Training Team at our Learning Center. She also spearheaded our first quarter staff fundraiser raising $4,000 for the Columbia County Humane Society, and leading the charge to plant the beautiful memorial garden on their grounds during the summer. Obviously, she really cares, and that is probably why she is here at Wauna Credit Union. After all, Credit Unions are nonprofit financial cooperatives that work to improve communities one member at a time. What should people expect when they come to this event? Tabitha, this is such a lovely idea, what inspires your generosity? Those are strong words and a big commitment, but then she said even more! With that inspiration, Wauna Credit Union welcomes anyone and everyone who would like to join us for Christmas Dinner on December 23rd — Come to help or come to eat, bring a friend or bring a toy for a child. We can all make a difference in our communities, just as Tabitha inspired Wauna Credit Union to do with this wonderful free dinner!